Alice stared down at the paper in front of her in dismay. It was her latest math exam and it was not at all good. She groaned in agony and put her forehead in her palms, wondering what her mother was going to say when she saw this new grade. “Hey Alligator, what’s wrong?” The boy behind her sneered. Alice rolled her eyes and sighed in frustration at the mocking nickname that was the target of most of the teasing she has gotten throughout her life. They didn’t seem to care that it was her 16th birthday; every day to them was another opportunity to make her feel misery and give them some sort of gratification. The bell rang for the end of the day, and Alice let out a sigh of relief as she stood, quickly walking with the other students out of the classroom. “Remember students, tomorrow is the start of the next unit! Be sure to take good notes.” said the teacher quickly as the students scrambled out to catch the buses for going home. Once out of the classroom, Alice walked leisurely down the hall as the other students ran past her trying to get to their buses. She didn’t have to worry about missing any buses as she always walked home because she lived within a fair distance of the school and on nice days like this it was nice to just walk at her own pace. Alice walked out the school doors and up the sidewalk leading to the neighbourhoods that surrounded the building. As she was passing a house, she paused at the smell of smoke filling her nose. It seemed to be that an abandoned house had been burned down at some point during that day and all that remained now were the blackened ashes of its structure. She started walking, but paused again when she heard a strange bird call. She was used to hearing birds constantly around this area, but this one seemed different. She looked around to see a little splash of colour among the black ash of the house and curiously walked over, shocked when she saw a Raven sitting on the ground, tilting its head at her curiously. “Searching, searching!” yelled the Raven. It looked up at her again as Alice looked over, seeing a local car pass by. "Oh dear." she said hoping she wouldn’t get in trouble for getting so close to the burned down house. The raven flapped its great wings and landed on her shoulder. Alice laughed as the bird continued to nod, shifting from foot to foot as he did so. “Alright then, let’s ask around to see if anyone close by is looking for you.” Alice stood up to start asking around about the Raven but it flew off it a different direction. "Hey!" Alice yelled. Alice sighed as she started walking home. “What, who’s here? What’s going on?” Alice watched the Raven fly frantically around the room. “The Reds have found us! We must get you back home before they capture us!” He yelled while flying in circles. “Hurry, hurry!” Alice didn’t know what was going on, but she stood up as quickly as she could. “Just be quiet! We can’t wake my mother; she’ll wonder what's going on. Wait- this is a dream, why does it matter?” “We'll be quiet, do not worry. Follow!” the Raven swooped down the stairs wanting Alice to follow. “Alright, alright. Where are we going?” Alice whispered as she crept down the hall. “The park.” Raven whispered back. Alice walked out the door, closing it softly behind her then started running down the sidewalk, with Raven flying beside her. Raven took to the air, flapping ahead of Alice as she continued running towards the park. She heard a loud growl and looked behind her to see a large creature running behind her with red eyes glowing in the night. She let out a shriek of fear and started running faster, gasping for breath as she saw the park in view. She ran into the park, looking around for the Raven who had disappeared. “Raven? !” She gasped for breath as he flew beside her. “We must take you to Wonderland. Trust me, it will be safer there, and the others will protect you.” Raven said, flying past Alice to the back of the park. Alice let out a yell of fear as the creature tackled her to the ground, its large jaws clamping shut just inches from her face. “Let her go!” Raven yelled, swooping down and ravaging the creature's face with his claws. The creature growled and swiped at him, missing by inches as the Raven flew away. He passed Alice, trilling with excitement as he saw her pick up a large broken branch, holding it like a baseball bat while the midnight beast charged her again. She swung the branch as hard as she could, clobbering the creature on the side of the head so that it fell to the ground dazed, but not dead. “Hurry, hurry! We have to get to Wonderland!” Raven squawked, flying onward toward the back of the park. Alice followed Raven to the back of the park, avoiding the creatures that tried to bite at her feet again. “Please, please tell me what’s going on! Why are these things all attacking me?” She yelled, as a creature's claws dug into one of her heels. “Later! We have to find the door.” Raven looked around, flying all through the park. He squawked happily when he spotted a carved door behind some overgrown ivy. “Found it, found it!” He yelled. Alice followed the Raven over to the door. “What a strange door... Why is this here?” She looked at the carvings on the door of different animals all in some sort of battle with each other. “It’s the door to Wonderland. Open it, and go through! Hurry before those creatures come back!” Raven flapped his wings frantically as Alice opened the door. "What is your name?" she asked curiously. "Call me Dante! I'll be watching you Alice; Dante is always watching. Just hurry!" Dante pushed her in with his claws before flying in after her, with the door shutting behind them on its own. Bright lights filled Alice’s vision to the point of blindness as she tried to keep herself awake. She tried to figure out where she was and make out what she was coming to, but everything was a blur. She noticed book-shelves and pictures upon pegs but everything came to a complete blur very quickly. She had the strangest sensation of stretching boggling in her mind until she heard Dante’s pained squawks close nearby and then finally lost consciousness as everything seemed to suddenly stop. “Alice, wake up.” A smooth male voice broke the silence in her mind, making Alice move restlessly. She felt confused as it didn’t sound familiar. “Come on, wake up. We have to get moving.” The voice said more urgently. “Listen to me; they are still coming, and I don’t know how long it‘s going to take for them to get here.” “Who... Who are you?” She mumbled as her head throbbed in pain. She soon realized that someone was holding her in a sitting position with large, strong hands easily holding her up. Alice quickly opened her eyes wide and froze when she saw a set of concerned deep blue eyes staring back at her. “Don’t panic; it’s only a technical term but there is too much to explain, we have to get moving.” Dante helped her stand, his massive wings unfolding behind him, and the feathers rustling as they swayed slightly with the wind. “Grab onto my shoulder Alice, and hang on tight.” He said, looking down at her. Alice stared up at him in surprise for a minute before Dante rolled his eyes with frustration and grabbed Alice by the waist, pulling her to his side as he started running. Alice looked in front of Dante and she saw that a cliff ended. “Watch out!” she yelled as Dante took one great leap into the air, his large black wings flapping behind him to carry them into the air. Alice squeaked in fear as she saw the ground below them seeming to get smaller and smaller, wrapping herself around him as she gripped tightly to his chest. “Are you also afraid of flying?” Dante laughed. “Don’t worry; I promise you, I won’t let you fall.” Alice nodded quickly and looked around them again, noticing that instead of the normal colours that things usually were, they were all reversed. The sky was a dark, swirling green, and the grass below them was some kind of teal blue. “Dante, why is everything so different here?” She looked up at Dante, who glanced down to her. “Well Alice, this is a different world. Once a long time ago we were on your world, but we… well how should I say this… banished.” “What? Why were you banished?” Alice asked, starting to slowly relax in his grip. “I don’t know, I’m sorry but did you know that long ago your world was cleared of all magic that once existed there? We were all brought down here to this world, where most things are similar, yet different. Once we go back through that door, we lose all of our magic and are turned into the animal that we most represent.” “Oh. So when you went back you changed into a real Raven?” “Precisely.” He nodded. “Well, why didn’t you just tell me you weren’t really a raven? Couldn’t you talk the whole time?” Alice frowned, feeling like she had been fooled. “Yeah, right. Just what exactly would you have done if a raven started talking to you in exact full sentences?” Dante looked down at her with an amused smile. “You could have sold me to a crazy pet circus or something.” “Oh dear, that’s true, I suppose. Well I can tell you I would have been surprised, that’s for sure.” She smiled back. Alice and Dante had heard a sound below them. “We’ll go down for a while, something is following us.” Dante held Alice tight as he flew down to a secluded area among the trees. “What’s following us?” Alice asked curiously. Dante put his finger to his lips, trying to listen for anymore sounds. “Boo!” "Ah!” Alice reached out to Dante for protection. “Hey, calm down. It’s alright; it’s only a little guy.” Said Dante calmly, rubbing Alice on the shoulder. “Hey! Who you calling little guy?” A white creature below them yelled, crawling up on Dante’s pants to reach their height. The Dormouse looked at Dante suspiciously before spotting Alice, his eyes widening in surprise. “A human? Where’d you find her?” The white dormouse looked to Dante. “Her name is Alice and she’s from the Otherworld. The Reds were attacking her, so I brought her here.” said Dante simply, his voice suddenly deeper as he turned serious again. “Oh, I see.” The Dormouse watched Dante for a moment before looking to Alice. “I’m a Dormouse, and yes I’m small but I won’t hold back a fight!” The Dormouse pulled out his little sword and started attacking the air. “How cute.” Alice giggled and picked up the Dormouse. “What is your name, little friend?” she asked him with a smile. “Hey. Hey! Put me down!” the Dormouse tried to get loose from Alice. “Settle down; she’s not a threat.” Dante patted the Dormouse softly on the head. “What is your name?” Alice asked again. “Why should I tell you?” The Dormouse was still struggling to escape from Alice. “His name is Bando; you’ll find out why eventually…” Dante looked embarrassed. “Hm. Alright, Bando it is! I’m Alice and I don’t mean to hurt you.” Alice gently put Bando down on the ground; as soon as she did he started waving around his little sword again. “This may be small but it’s dangerous!” Bando was pretending like he was going to attack Alice. “You’re a funny little mouse, not like any of the ones back home.” Alice suddenly felt sad. “When will I see home again, Dante?” She asked with a concerned look. “Eventually, I promise.” He said smiling. “When am I going to go home? Blah-blah-blah! Hey! Dormouse down here. What are you two doing anyway? You usually don’t see his kind this far north.” Bando pointed to Dante. “Somewhere safe if anything.” Dante stood up, his wings unfolding to be three times the size. “There is a safe place nearby, we should get going.” Dante offered to pull Alice up. “Where is it?” Alice said in interest as she took Dante’s hand. “Not far from here. It’s not that far, it seems you are afraid of high places.” Dante said with a concerned look at Alice. The Dormouse paused for a minute before looking back up in confusion. “Scared of flying? Why?” “Well, you see. I don’t have any wings- I’d completely drop like a rock if I ever fell.” Alice explained. “Alright then, let’s start going.” Dante smiled, swooping lower, making Alice let out a squeak of fear at the sudden drop. Dante resisted a laugh as they swirled further downward, putting his arms around her for support as he landed on his feet, still running for a bit before slowing down to a walk and eventually stopping, letting Alice down. She gave a sigh of relief once back down on the ground again. “Chicken.” The Dormouse slid down Dante’s arm from his shoulder and gave Alice a rude look. “What an attitude for such a small mouse.” She stated as Dante couldn’t hold in a laugh. “Come on you two; we’re nearly there.” Dante started walking over into the north direction as Alice and Bando followed. They walked through a very jungle like forest until they reached something that almost looked like a tea-party was set up. Alice walked over slowly, studying the two at the table. One was wearing a hat and had crazy hair and the other looked exactly like a Hare. They looked up in shock as Alice passed by, making her bite her lip nervously at their wide-eyed stares. Dante glanced over at the two figures sitting at the table, as he walked towards them. “Look; I’ll explain more once I get her somewhere safe. I wouldn’t be surprised if you two were filled with questions by now.” “Hurry up. Tell Hatter, tell Hatter!” Bando grinned to them. “Yes, I will, don’t worry about that.” Dante motioned for Alice to walk forward first. There were two figures sitting around a large table having a tea-party, but the two were all crowded together at one corner of it. They all looked up at the intruder, and a particularly crazy looking man stood with a frown as he glanced toward Alice. “No room! There’s no room!” Alice stopped walking and paused as she eyed off the whole table. “What are you talking about? There's PLENTY of room!” She stated, still standing there waiting for a response. “Would you like a little more tea? He smiled towards Alice. “Oh well, I haven’t had any yet so I can’t take any more.” Alice continued walking towards the table. “What is your name?” asked the Hatter. Alice started to speak but was interrupted by the Dormouse; “Alice, her name is Alice and she’s a human!” The Hatter stood on his chair onto the table and started walking his way over to Alice, trying to miss tea cups on the table where he stood. “Human? Well, there hasn’t been a human here in over 150 years; but you couldn’t be them.” The Hatter looked Alice over examining her human-like features. “I don’t really see the difference between you and I, you’re human aren’t you?” Alice asked. “Oh no, no, no my dear; I am just simply mad.” “COMPLETELY MAD!” yelled the Hare, he was holding a tea-cup but his hand was shaking vigorously. “I don’t know why I am even here, I need to go back home.” Alice turned to Dante seriously. Dante looked down to the ground like he didn’t know what to say. The Hatter tapped Alice on the shoulder and she turned around and looked at him. “Your presence in this world is no accident, Alice. You are here for a reason.” The Hatter smiled at Alice. “What reason? Tell me, I want to know!” Alice begged. “There’s only one mind that knows that answer.” Dante looked over into a direction as the others looked to see what he was looking at. “Of course.” The Hatter raised his head with a grin. “Who; who is it?” Alice asked feeling a bit dumb. “The Atticus, he knows everything.” Dante explained. “Shall we see him?” Alice winked and took a step towards Dante, waiting to be lifted again. “Why not, as long as we are quick because it’s getting dark.” Dante looked up at the sky as it started turning to a dark greyish-blue. 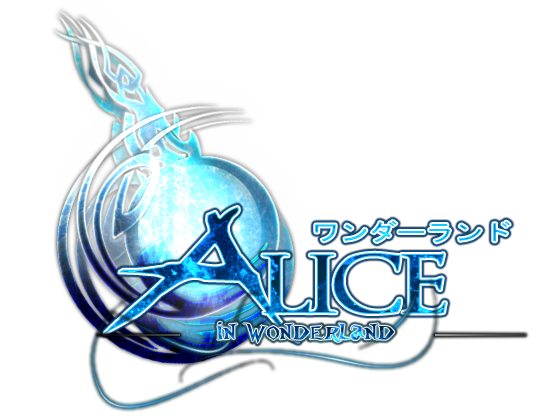 Alice bent down and put her hand close to Dormouse, giving him the offer for a lift. Bando stood his feet down in the muddy ground, twisting and turning making his little boots all muddy. He climbed up on Alice’s hand leaving little muddy trails of footprints. Dante brushed the little pieces of almost dried mud off of Alice’s dress and arm, lifting her up after and running off in the distance to find Jet. Dante, Alice and the others walked over to what was a large mushroom growing in the distance, about the same size of Alice. Dante motioned for Alice to walk towards it, and as she did she realized it was just slightly taller than her, so she stretched herself on her tippy-toes to see what peeped over the edge of the mushroom's top. Alice’s curious eyes immediately met those of a large blue caterpillar, sitting on the top with its arms folder, quietly smoking a long hookah, and taking not the smallest notice of her or anything else. Alice didn’t know what to do or say and she stood there puzzled. The caterpillar let out a sigh, rolled his eyes and looked at Alice. “Welcome, human of the Otherworld.” The caterpillar greeted her. “Welcome to our world.” Alice smiled in relief at the friendly greeting and nodded. “Thank you.” She responded. “I am the Atticus; what is your name?” “Oh- uh, my name is Alice.” She said, just nodding a hello because she figured the caterpillar couldn’t shake hands. “We have to get going soon.” Dante looked into the distance to see the sun going down. “I hate to leave you so soon, Atticus, but we have to stay ahead of those Red’s.” “Agreed.” The Caterpillar took another puff of his hookah. “Alright, let’s get going everyone.” Dante looked over to Alice, who was lying against the mushroom yawning, a hand over her mouth. Dante couldn’t help but snicker. “Time to get going, Alice, you can sleep soon. We have to get going if we’re going to keep you and Wonderland safe.” Alice stood up realizing this was important. “Alright, let’s start going.” Alice yawned once more as she walked over to Dante and the others. They walked back to the tea-party which had a couple of tents set up, just enough for the right amount of beings. “Here we are. You can sleep now.” Dante grinned at Alice. “Thank you. Thank you everyone for everything today, I really appreciate it.” Alice walked into her tent. Dante shifted his position so that he was facing Alice and sighed, looking toward the ground uneasily. “For every Loyalist, a Red is born. What that means is every being of light also has their own shadow that is the opposite of them. So as a being of the light is born, Shadows are too created. We don’t know all the facts, but they are not given birth like creatures of the light do.” “Wait.” Alice was thinking over everything Dante has just told her. “So somewhere out there in this crazy world there’s an evil version of you running around?” “I’m afraid so. There’s an ‘evil’ version of everyone you have seen here.” Dante looked down to the ground again. “The bad news is all of the Shadows and Reds wish to destroy your existence. You’re constantly in danger.” “Danger? I haven’t even done anything wrong to them.” Alice protested, annoyed that an entire race wanted her to die for no apparent reason. “You carry the mark; it speaks of your heritage making you the rightful Princess of our lands.” Alice froze, her eyes widening at that sentence. “What? !” She gasped. “The Princess of Wonderland has say over all magical creatures and there are far more beings in this world than just our kind. You have yet to meet face to face with many Sorcerers, Elves, Demons, Spirits, Druids, Snowy Mountain Wolves, and many more fascinating races.” Dante looked uneasily at Alice’s shocked expression. “You will have control over all. You don’t like it?” “No! I can’t be a Princess; I don’t even know how to lead anyone.” Alice said in panic. “I’m just a high school student who keeps everything to herself! I can’t do anything like that.” She ranted. “If you don’t, our world will fall into shadow.” Dante said solemnly. “You’re our last hope, Alice.” Alice paused, letting it all sink into her brain. “What do you mean ‘fall into shadow’?” Alice whispered her eyes wide again. “The Reds are creating an army of unimaginable size and they wish to take over everything and make the darkness the dominant force in Wonderland.” “Well, what exactly can I do against that?” “How Wonderland works is we all have different tribes of beings that are not joined together. We’ll have to join our forces together to combat this evil before it overtakes us.” “How do you know this is happening, for sure?” Dante looked down to the ground again, feeling uneasy by Alice’s question. “I know this, because my home was destroyed by shadows long ago.” Dante said, his blue eyes turning sad. “They ruined my home, my village and they killed my family, friends and everyone I once knew. They do not show mercy, Alice.” “They killed your family? !” Alice gasped in horror. “Yes, even my little sister.” Dante nodded. “I was lucky to escape and I was rescued by the Hatter only as a small boy.” Alice sat in silence, not really knowing what else to say. She noticed Dante’s face fell into an unemotional mask, but he looked up as the Hatter appeared in the flap of the tent, balancing two plates with food on them. “I’m not really sure what humans eat, so I brought some of everything.” He mumbled uneasily, glancing from Dante to Alice and then back again. Dante took the plate with few pieces of meat on it, handing the one with more to Alice. “Thank you very much.” Alice smiled happily to the Hatter, who looked at her in surprise, clearing his throat and quickly retreating from the tent’s awkward atmosphere. “Well, that was rather odd.” The Hatter walked back into his own tent. “So… you guys pretty much really need for me to be Princess, huh?” Alice looked down at her food uneasily; it didn’t look like anything she had seen before as they were like everything else in Wonderland, with all strange neon colours. At least the meat was a normal brown. “Yes. Without you, Alice, we have no hope to win. We have armies fighting the Shadows and Reds as we speak, but we don’t have nearly enough people for the Final Battle.” Dante spoke around a mouthful of food. Alice and Dante looked up suddenly as a sudden shout came from outside the tent, followed by another. He quickly but quietly moved to the flap of the tent, looking outside. He swore in shock and shut the flap again, grabbing Alice by the waist, making her drop her plate and food. Dante took a dagger from his belt and slashed a hole through the back side of the tent, pushing himself and Alice through it and away from the chaos outside. “Dante!” Hatter shouted from afar, running away from someone who was following him as he was trying to keep away from the nasty looking spiked weapons in their hands. “Get her out of here!” Hatter yelled, fending off the follower who growled fiercely, its red-glowing eyes looking to Alice and widening in realization. “WE FOUND HER! SHE’S HERE!” It yelled, pointing toward Alice with a loud shout. The other Shadows stopped to look in the direction he was pointing as silence suddenly fell over everyone. Alice heard Dante curse again as he grabbed her by the waist, holding her up to his hip as he started running as fast as he could, leaping into the air as his great, black wings unfurled behind him, flapping hard to carry him upwards. “Hold on tight.” he said while noticing the shadow that had been chasing Hatter turned to Dante instead. “Move into the forest!” Dante yelled behind him as he flew swiftly toward the trees, narrowing his wings so that he could glide between the trunks, losing the Shadow that had been chasing him. Dante looked over his shoulder to see Hatter following close behind him. Others were running with him on the ground including Dormouse and the Match Hare. As soon as Dante saw a good distance into the tree line ahead, he landed on the ground, running for a bit before coming to a stop and turning around. An angry expression overcame Dante’s usually smiling face. The trees all around them suddenly started swaying violently and a storm broke out. Roots started rising from the ground, twining the pathway that had led them into the forest, making it blocked off. They could hear the Shadow’s angry shouts on the other side. Dante sighed, bending over feeling exhausted as he looked to those around him. “Looks like we have the forest on our side.” Dante grinned. “Another fantastic feature of Wonderland.” He winked towards Alice. “Now what?” Hatter panted. “You know if we leave this forest we’re dead.” “Then we’ll stay in here.” Dante replied in frustration. “Where are we going to move to from here?” Alice asked curiously. “I’m not quite sure; I don’t know the forest ground very well.” Dante felt guilty for just flying over it all this time instead of taking a trip through it on foot. “You’ll learn; besides, you have Dante to help you out and I’ll be more than willing to help you as well.” Hatter smiled again. “And I’m sure Bando will be too.” Hatter glanced to the dormouse, who was looking very disappointed. “I wasn’t made for all of this danger and rushing.” He wrinkled his nose in disgust. “I wish we could go the White Castle.” He sighed. “But nooooo, we’re being led by a raven. Typical once again, I have the worst luck.” Dante sighed, shaking his head in disgust. “He may complain, but he’s a good benefit.” Dante looked over towards Alice. “A lot of people here will probably be sad for a while, but I’m sure they are willing to help you. You are the Princess, after all.” “I suppose.” Alice sighed. “Ah, she is the Princess?” Someone behind them said in interest. “I’m sorry, I didn’t mean to eavesdrop but that is what you said, right?” “Yes, she is.” Hatter said happily. “Dante brought her here from the Otherworld when she was being attacked by Reds and Shadows.” “Ooh, the Otherworld? What is it like there?” The man looked up to Alice with wide eyes. “It’s nothing like what it is here. There are bigger cities and a lot more people. We have cars, planes and buildings that are really high, only being made by from metal.” “Oooooooh.” The man wondered. “That must be really pretty.” Alice smiled, looking back at him. “It is. What’s your name?” The man looked off into the distance before blinking in surprise at being asked a question. “My name is...Andre. I used to walk through these forests all the time.” “Well it’s nice to meet you; you too Sajen. Do you have any idea how long it will take to get to the tribe?” Alice said uneasily as her feet were already starting to hurt where the claw marks the creature had given her on her ankles. “A couple of days.” Sajen said with a smile. “We need to go through the Treants region of the Forest if we want to stay safe, so it’ll take longer than normal.” “Treants?” Alice said curiously, but decided not to ask as she saw everyone else nodding solemnly in agreement. Alice walked through the thick, sticky gunk on the forest floor in disgust, picking her feet up higher than usual. She was feeling her stomach churn as she watched something drip off the soles of her shoes. “No wonder you said this was going to take longer, it’s taken us an hour just to take 20 steps!” Alice complained as she saw bubbles pop on the surface of the gunk. “Were in the bogs; what did you expect?” The White Wolf was covered in sticky brown gunk; it was hard to call him “The White Wolf” anymore. “Is that all you do, complain?” Bando was annoyed again. “You can’t talk you get to just sit there on Dante’s shoulder why we have to walk through this.” Alice snapped back. “Would you two shut up? You’re going to get us caught.” Dante was annoyed as well. “Look, we’re all annoyed right now, but let’s just get through this gunk and keep moving.” Sajen felt he had to lead the situation, being a leader after all; it is what he does best. “It’s like quick-sand, if we move too fast we’ll get trapped so just all walk slower, and no one stray from the path.” Dante said, looking up at the sky wishing he could just fly over this horrible place. “I don’t know, but as long as we travel by day, we’ll be fine.” Sajen started looking for ways that would get them to land faster. “I wouldn’t throw any more rocks.” Dante eyed the Match Hare, who looked at the ground in embarrassment. “We should keep going.” Sajen started walking against the thick gunk again. “Wait. You didn’t answer my question, Dante.” Alice said cautiously as he looked over his shoulder uneasily. “Well, look; if we keep going, it won’t matter anyway.” “No, tell me!” Alice insisted, with her tone frustrated. Dante stopped and rolled his eyes. “What do you expect them to do? They will come to life at night, and they’ll most likely try to kill us and then possibly eat us.” An awkward silence broke out on the group as everyone heard Dante, staring down at the creepy gunk around them. A tiny squeak came out from Bando and everyone started trying to catch up after Dante, much more quickly than what their pace had been before. “There’s something circling us in the sky.” Alice squinted her eyes to see what it was and made out an oddly familiar, yet quite different shape. “It’s a Shadow Watcher!” Hatter yelled, grabbing Alice, Match Hare, and Bando by the wrist, dragging them into the shadows underneath a tree. Hatter and Alice watched as a metal ball was dropped down in the wind, falling on the tree branches above where Alice and the others were hiding. Everyone froze as strange noises started sounding from the bog they came out from and suddenly a Shadow with armor and a sword appeared from the bog, its sword drawn as it walked towards the group. Alice swore with wide eyes as she stared at Hatter waiting for him to come up with a plan; she was use to Dante always being alert. “What are we going to do? !” Alice said to the Hatter who was looking very frightened. “I-I don’t know.” The Shadow Warrior started charging towards them, with deep, red eyes. Alice clenched onto Hatter’s arm, shaking him vigorously hoping to get an idea into his head through panic. The shadow suddenly started getting really close but was sent down to the ground by a boy who ran out and jumped between Alice and the Shadow, throwing a hard kick straight into its stomach, sending it to the ground with a gasp and wheeze as the air was knocked out of it. “Somebody get her to safety and quickly; and do not stuff around!” The familiar boy yelled, grabbing the Shadow’s sword and looking at it in interest before throwing it far into the forest behind him. Hatter nodded and grabbed Alice’s wrist again, running deeper into the forest. Alice tried looking back to see the boy’s face that had saved them, but all she saw was a swarm of shadow warriors suddenly bursting from the bog, and the boy that had protected them before was retreating backwards towards the others. “Oh no; he is in trouble, I have to save him back!” Alice thought to herself and she pushed away from Hatter’s grip, running back over towards the boy. “Alice, no!” Hatter yelled, looking confused and frightened at her decision. The boy looked backwards towards the yell of Hatter, to see Alice running towards him. “What is she doing? !” He thought as he starting running towards Alice only a little bit more forceful, like he was charging at her. Alice started slowing down as she was confused by what he was doing but as he got closer he picked her up by the hip and continued running; just like Dante does it. The boy had got enough speed that he could take to the air and the boy ascended much more quickly than Dante had, which made Alice’s head spin as the boy brought her higher and higher. “Well, you don’t see this every day.” A voice said from above the boy and Alice. He looked up with wide eyes at the Shadow flying above them. He spread his wings wide; going higher than Alice thought was possible. She watched with horror as the Shadow easily ascended to their height, circling around just above them until it was situated directly above. It suddenly folded its wings, landing on top of the boy, digging its claws into the boy’s wings, making him cry out in pain. “Remember this, you stupid boy; the Shadow that killed you is Arsenal but I strongly doubt you’ll find me again.” It sneered before pounding its poison into him, making the texture around the claw punctures in his wings suddenly blacken and rot as shots of poison started rushing into him. “Get off him!” Alice yelled, swinging one of her arms in its face and her leg to try and hit it. She watched it whimper as she realized she kicked its groin about as hard as she could. The Shadow dropped off the boy’s back and dropped close to the ground before it realized to open its wings and turn around, gliding safely to the ground among the other shadows. “Are you alright?” Alice looked over to the boy, who was executed with pain. The poisonous rotting wasn’t spreading any further into his wings, but there were two large holes in his wings that probably making it quite hard to fly. “What’s your name?” Dante looked over the boy’s body for any more injuries. “My name is Andre; I’ve met you guys before but it was only for a little while, which is probably why any of you don’t remember me.” He said, looking at Alice and Dante in concern. “I thought you looked very familiar, but I couldn’t think of anyone who you could be because I kept thinking about Dante for some strange reason…” Alice felt embarrassed for admitting she was thinking of Dante. “Alright; I’m going to fly him over to Joylae, hopefully she can heal him in time.” “Wait!” Alice took a step forward towards Dante. “I want to come.” Dante sighed a little bit. “Alright, you can come to.” He picked both of them up and gasped at all the weight, flapping his wings furiously to try and keep them off the ground. “You alright?” he wheezed, looking up to both of them. “I’m fine.” Alice said, but looked to Andre as he lay limply against Dante. Dante released his grip, letting Alice stand on her own as he picked Andre up, carrying him quickly over to Joylae, who was already healing some wounded creatures. “Just stay there, don’t wonder off anywhere.” Dante yelled back to Alice. Alice stood and watched Dante run over to Joylae with Andre in his arms but noticed Joylae had a face of horror as she pointed into the distance. Dante and I looked to where she was pointing and people were fighting off a horde of Shadows charging out from the forest. “Oh no, they’re back! They won’t leave me alone.” Alice thought to herself with a look of fear and annoyance on her face. There were a lot of dead creatures on the ground. “This place is horrible! There are so many deaths.” Alice knew she wasn’t supposed to go anywhere but she couldn’t help the urge. Dante put down Andre to Joylae and ran over to join the fighting along with Sajen, Hatter and the others who were defending me too. “Stay back!” Dante yelled over his shoulder, spotting Alice hide among the trees behind him. Hatter growled as he kept fighting the Shadows advancing towards them until he suddenly froze, looking at one of the Shadows. He looked exactly like himself, except devious. “We have a match!” Dante yelled as he dragged Hatter away by the wrist as the other Shadows did the same with theirs. Alice watched with curiosity as Hatter’s body and eyes started glowing as he lay motionless on the ground except for movement indicating he was breathing. Alice quickly jogged over to Hatter, putting a hand to his forehead and feeling his skin was hot. “What is happening to him?” Alice thought. Hatter suddenly cried out in pain as the glow around him started flaring, knocking Alice over as the Shadow on the other side let out a terrifying scream. His glow suddenly faded and he stood up, looking at her with angry eyes. “You were told to stay back.” he growled. “They’re trying to kill you, don’t you understand that?” Alice felt guilty and disappointed in herself. “I-I’m sorry, but what just happened?” She looked over him and saw he was generally looking fine except for a few scratches. “I’ll explain later. Right now we need you to go with Joylae.” He said as he rushed back over, re-joining Dante in fighting. He glanced to Hatter with relief and smiled, continuing their fighting. Alice watched as they avoided getting sliced with swords and nodded quickly, running back to where Joylae was, still healing Andre. Dante glanced over his shoulder, relieved when he saw Alice was running away toward where Joylae was healing Andre. He turned his attention back to the Shadow in front of him who was wielding a long sword and metal shield. Dante kicked the Shadow around its ankles, making it trip over. Dante looked down at the fooled Shadow and grinned, but faltered again when he noticed a Shadow’s reflection behind him in the metal shield the Shadow was holding. “Come on, Dante. Watch it!” Hatter yelled beside him, kicking away the Shadow that was raising its weapon to kill Dante. He shook his head out of shock and continued his fighting, dodging another swing of a long sword from the Shadow’s. “Is he going to be okay?” Alice looked at the rotted leathery skin on Andre’s wings as he gasped for breath through the pain. “He’ll be fine. I’m just glad that Shadow didn’t put any more of this nasty poison into him.” Joylae said grimly as she moved her hands over the punctured area as a blue aura appeared around her hands. Andre watched Joylae with concern, but his eyes showed a deep worry in them. Alice glanced over to Dante and then back down to Andre, who was holding in painful cries. Joylae saw him staring at Alice as he was in love; Joylae didn’t know too much about the two so she only smiled, looking back to Andre’s wounds. “They’re starting to retreat.” Dante said to Hatter, who was fighting another Shadow. “It’s about time.” Hatter was sick of sweat dripping down his face. “We got rid of them all!” Dante yelled out to Alice happily, as he high-fived Hatter but a low moan behind the forest trees made Dante and Hatter get a shiver up their spines. Dante and Hatter turned to the noise, but they couldn’t see any sign of movement. They shivered again when they heard another low moan that was followed by another until it sounded like hundreds of angry people, growing louder and more vicious. Dante froze in horror as he saw thousands of undead walking towards them, dripping with bog muck. “RUN!” He yelled as he scrambled to run for his life to the others. Hatter joined him and ran back toward where Joylae was still healing Andre. “Everyone who can fly or run really fast take as many people as you can carry.” Dante said quickly, grabbing both Alice and Joylae by the waist and situating them so that their weight was distributed evenly. Hatter ran over to Andre and picked him up gently, running as he followed Dante flying in the sky. Screams of terror started coming from behind them as Shadows formed again, and the two creatures battled against each other. Dante looked over his shoulder and wished that he hadn’t. The dead were eating everything in their way as they charged after Dante and Hatter. Dante looked down at the girls as they stared at the scene as well. Joylae had a disgusted look on her face, but she was silent. Dante looked over to Alice who was making a low moan as she was gripping Dante’s shirt, trying to bury her face against Dante to get away from the sight. They were flying for what seemed like hours; Alice noticed that Dante was starting to gasp with all the effort he was using to keep them in the air, but he knew he couldn’t stop because the only thing below them was more forest, and who knew what was hiding down there. “I’m sorry guys but we’re going to have to land very soon; or else we’ll fall.” Dante said as he gasped for breath. Alice nodded feeling sorry for Dante, but as she looked around below she was only seeing trees that went on for miles and miles. Dante was relieved at the sight. “Hatter is waving to us down there; I think he found us a good spot near a lake.” Dante pointed downwards and started turning towards it. He grunted as the beating of his wings got faster as they descended towards Hatter. Alice and Joylae tightened their grips on him as Dante struggled to get them down safely. The lake was becoming larger and larger below them until they splashed into it as Dante fell from being exhausted. They sunk down a little bit from the force until they gradually started floating back up towards the surface. Hatter panicked and jumped in to save Alice and anyone else from drowning. He carried Alice out of the water, as Joylae started swimming to shore as well as Dante who was looking miserable with his feathers soaked. “At least it’s warm.” Dante said in frustration, trying to be positive. “Thank you.” Alice looked up at Hatter, who merely shrugged. “It was no problem; I wasn’t going to let you drown.” He said, as he double checked the lake, seeing no one else there. “Do you have any idea where we’re going?” Andre asked curiously. “Apparently we’re going to the White Castle.” Hatter sighed. “Sadly, it’s taking longer than we hoped for.” “Oh.” Andre said as his face showed a bit of worry. “Don’t worry; we’re a good team together so we’ll be fine.” Hatter groaned as he stood up, his muscles suddenly sore from so much fighting. “We’re not very far now actually, but we won’t do anymore today.” Dante said as he was feeling tired. “Good.” Alice said, sounding miserable as she felt her soaking wet hair and clothes that felt as they were sticking to her skin as if glued. “My hair is going to look ridiculous when it dries after this.” Bando came out from Hatter’s shirt pocket. “Well at least you won’t look like a big fur ball.” He said in frustration, trying to get his little ears as dry as possible. “Shouldn’t we start getting ready to take a rest?” Dante asked. “I don’t know about you guys, but my wings feel like they’re going to fall off any second now.” “A good idea.” Hatter sighed; his legs were feeling no better. Dante and Hatter started making a few small fires as Joylae and Alice re-bandaged Andre and the Match Hare prepared them a meal. Everyone huddled around the biggest fire; feeling and looking like a loving family, all sharing and being happy together even in the worst of times. Alice looked at Andre across the fire as Dante sat beside her, handing her some fruit Match Hare found in the forest again. “Hatter; you never told me what happened earlier.” Alice said quietly, wondering if it was appropriate to talk about at the time. He blinked in surprise and put down his plate of food uneasily. “Well, there isn’t much to explain; that was my shadow and I won.” He shrugged, feeling awkward. “You won?” She looked to Dante in confusion. “Well, when someone meets their Shadow, their souls have to fight to the death. It is Light verse Darkness, and whoever wins is the one that lives.” “Wait, what? So before you fought your Shadow, and you won so the other Hatter died?” Alice gasped. “Precisely.” Hatter nodded. “It’s probably not the best way to go; I don’t know really know what happens when you lose, I guess you probably just lose your soul.” Alice gulped as she realized how dramatic this was. “You don’t have to worry about it.” Dante chuckled. “You’re from the Otherworld, remember? You don’t have a Shadow.” He smiled down at Alice as she nodded uneasily before eating her food slowly as she thought more. Later that night, Alice walked back over to the fire after checking up on how Andre was doing. His back was looking much better and the punctured marks beneath his skin were starting to fade thanks to Joylae’s healing skills. Alice looked around the campfire where everyone was and noticed that Dante wasn’t there. “He didn’t say he was going anywhere…” Alice looked around curiously, knowing that she wouldn’t be able to handle herself if anything dangerous happened if she had gone looking for him into the forest, so she just kept looking around. She spotted him sitting next to the lake, looking into the water with a confused expression. Alice looked back to the others, but no one had noticed he disappeared for a while because everyone was busy setting up their tents. She walked over to him, being sure to keep very quiet as she listened as he muttered something to himself. She watched him as he was touching his face and turning his head a little as if he was trying to see himself better in the water’s reflection. Alice walked next to him and sat down; making him freeze in surprise, his feathers puffed a bit before settling down when he saw it was Alice. “Well what else is there to do?” Alice bumped his arm teasingly with her fist. “I’m not going to let you sulk all night if that’s what you’re thinking.” Dante smiled uneasy but nodded, glancing up at Alice before clearing his throat nervously during the silence between them. “Right, well I suppose it’s time for us to get some rest.” Dante stood up, holding out a hand to help Alice up as well. She smiled at him and took his hand, squealing with surprise when he pulled her up so easily to her feet. He laughed and dusted some dirt off of her shirt, noticing how much grime had gotten on her clothes since she entered this world. “We’ll have to get you a new outfit soon.” He chuckled at her as she looked down at her clothes. “That’ll be great.” Alice followed him back up to the others. “What are you so worried for? She’s asleep and its dark, no one’s watching.” A quiet voice cut through the darkness of the night as everyone slept in their tents around the dying embers of the small fires. “Well, yeah; easy for you to say. Why aren’t you doing this? !” Another voice answered back, trying to stay quiet. “…Because you’re taller so you have to do it!” “So, all of them are bigger than me too!” The voice stopped cold as Dante moved in his sleep, a few centimetres away from Alice who was sleeping soundly as well. “You have to go talk to her! You heard what Mitchi said, he’ll eat us if we don’t!” “What? He wouldn’t dare to eat us. …Fine, just stay there and be quiet!” A dog sneaked out from the bushes, running over to Alice and licking her arm, making her chuckle a little in her sleep. The dog moved up closer to her face, looking down at her. “Hello, remember me? !” He said, in a normal talking voice. Alice grumbled and stayed asleep. The dog growled in frustration. “HELLO, REMEMBER ME? !” He yelled, hoping she would hear him. Alice grumbled a bit more and blinked her eyes open slowly, looking around to see who was making all the noise and all she could see was a dog’s face looking over the top of her. Alice’s scream cut through the darkness as she sat up, making Dante sit up as well, looking around the area for whatever had woken her up. “Get away from me! Go away! Leave me alone!” Alice was pushing the air in front of her so nothing would touch her or get as close to her face as that. “Please stop! I didn’t mean to scare you, Alice!” The dog shouted to be heard over Alice’s whining. Dante patted the dog, chuckling when he saw the dog was relieved one tall person was friendly. “Thank you, very tall one.” He sighed. “I don’t mean to scare you, Alice. I was sent here to greet you!” “Don’t worry Alice, it’s just a dog.” Dante looked at Alice who blinked in surprise and moved closer to look at the dog as she couldn’t see very well in the dark. “I am Zak, doesn’t that sound familiar?” “Zak?” Alice looked to Dante curiously, who shrugged. “Yes, Zak, you forgot me already?” Alice paused for a second. “I-I haven’t met you Zak, but my dog back home has the exact same name as- Zak? !” Alice pounced on Zak and he started licking her showing his love and happiness for seeing her. “I can’t believe this- how did you get here? !” Alice had so many questions to ask. “I’ve been searching for you everywhere, I’m not sure how I got here though, but who cares; I’m here with you!” “And who is this to sleep so close to my Alice?” Zak snickered as he looked at Dante. He blushed and suddenly looked serious. “I’m her protector, Zak. We all are, and we are taking her to our White Castle so that we can fight the Shadows.” “Ah yes, the Shadows. I saw them on my way here, walking around through the forests, but I sneaked past them pretty quickly and then I got here.” Zak laughed again. “You saw Shadows near here? !” Alice gasped in shock. “Of course, they like to lurk in forests, you know.” Zak scoffed. He turned back to Dante. “She hasn’t been here long, has she?” “No, but she’s a quick learner.” Dante glanced up at Alice before looking back down to Zak. “How far away were they?” Dante asked with a serious, but concerned tone. “Far, far away. I passed them ages ago and I’ve been searching for you for days, Alice.” “I’m so glad you did and that you got to me with no scratches or wounds.” She said cheerfully as she gave him a big pat. “Where did you come from?” Dante asked Zak. “The White Castle, my friends, they’re looking for you; they wish to meet my Alice.” “Will they be willing to wait a couple more days to meet us?” Dante asked Zak concerned about all the Shadows following them. “Of course! You know your way to the Castle?” Zak said happily. “Inside and Outside.” Dante smiled back at Zak. “Are you alright with meeting a few more faces, Alice?” Dante asked. “I don’t see why not.” Alice shrugged. “As long as no-one tries to take a bite out of me, or something.” She smiled. “I’ll inform the people of White Castle to be expecting you. I guess I’ll see you again!” Zak yelled so they would hear him as he ran through the grass back into the forest. Dante watched him leave; turning to Alice once he was out of sight. “Just be careful about people coming up to you like that because there’s some powerful magic out there and it’s possible to shape-shift. But I’m sure that since they’re asking to meet you at the White Castle, they’ll be friendly.” Dante laughed as he sat back down on the ground. “I don’t think I’m going to be able to get back to sleep.” He grumbled, turning onto his side to get comfortable with some of his feathers brushing against Alice’s arm. She smiled gently and settled down again, resting her head on her arms as a pillow as she thought about what the next couple of days would be like; shape-shifting… what a strange world. Dante woke up drowsily the next morning, grumbling to himself about pets and animals and how they always seemed to wake people up in the middle of the night. He felt a small brush against his back and froze; turning his head slowly until he saw Alice nestled underneath one of his wings, using it like a warm blanket in the cold forest night. Dante stayed still for a moment, not knowing what he should do; “Should I pretend to stay asleep?” He decided to at least turn around so he was comfortable as well, resettling one of his wings over Alice so that she stayed warm. Dante watched her for a bit, wondering if he did the right thing to bring her into this world or not. She looked so fragile while she slept; as if one slight wrong move would break her into a million pieces. “Will she really be able to fight in this war?” Dante cautiously moved away a few strands of hair from her face, pausing to make sure she didn’t wake up. Alice made a restless sound and moved herself deeper among the feathers of his wings, making Dante smile softly as she whispered something softly in her sleep. He looked up to see the sun rising and knew that Shadows were probably still out there searching for them. Dante yawned and rolled away from Alice slowly, taking his wings with him and leaving her to wake up at the sudden wave of cold air. “Did you have a good sleep?” Dante chuckled as he watched Alice rub sleep away from the corner of her eyes. “Yes, thank you.” She smiled. “Why are you guys up so early?” Hatter poked his head through the tent flap. “I’d say the same thing to you, Hatter.” Alice winked at him. “Oh, yes. I am awake too, aren’t I?” He chuckled. “So why are we all up so early then?” “Those Shadows are still looking for us, no doubt. We have to keep moving.” Dante said in a serious tone. “Well, let’s get going!” Hatter pulled open the flap tents and pinned them back to the ground. “Be patient.” Dante said as he looked over to Alice. “She has to get ready first.” “Oh, thank you Dante. I have to brush my hair and…” Alice’s eyes suddenly got wide. “I don’t have a brush! How will I brush my hair? I don’t even have a toothbrush or toothpaste!” Alice looked around in a panic. “Hey, calm down; just run your hands through your hair. Why do you need a brush?” Dante asked confused. “No, I can’t do that; when I run my hands through my hair it just gets messier.” Alice wrinkled her nose in disgust and disappointment. “What’s a brush?” Hatter said confused as he felt his some of his hair sticking out from underneath his hat. “I-It’s a medium-sized stick that is quite thick with lots of little… ‘teeth’ out of it that undoes hair tangles and makes your hair look neat and... brushed.” Alice said Hatter curiously, who nodded and starting walking off towards the forest. “Is he…?” Alice paused and looked at Dante. “I doubt he’ll find anything.” Dante chuckled at Hatter’s persistence. “I’m worried that something is going to go wrong at the White Castle.” He muttered looking at the ground. “I’m sure I’ll be fine.” Alice chuckled in amusement at Dante’s concern, but then couldn’t help herself from being a little afraid herself. “I found it! I found a brush.” Hatter came running over towards Alice with a big smile on his face. She looked at him and he was carrying a thin stick with many branches coming off of it. “It’s fantastic! It even has the leaves and bark off it too. Where did you find that?” Alice studied the brush as she was given it from Hatter. “The forest has many wonderful things in it, you know? You just have to look.” Hatter said proudly. “So, shall we continue walking?” Hatter said as he walked over, looking to Dante with a wary expression. “Sounds like a plan; let’s go.” Dante said confidently. “Great, let’s wake the others and pack up.” Alice started packing up her and Dante’s tent, while Hatter woke the others. Alice’s tent was packed up into her back-pack and she smiled as she started brushing her hair. “Welcome, Alice of the Otherworld.” Zak greeted her happily as Alice, Dante, Hatter Andre, and friends walked through the gates of the White Castle. There were nearly a hundred different animals of every shape and size, all who gathered around to see the hero once again. “Thanks for coming, Alice! The King is very happy you have agreed to this meeting.” Zak bowed as he moved aside for Alice and the others to walk into the middle of all the gathered animals, looking around curiously at the eyes staring back at them, hearing whispers all around them. A bushy-tailed fox jumped out from the shadows and landed in front of Alice, causing every single sound to suddenly fall into silence. Alice nodded cautiously, looking around at the animals around her still. “Thank you for the introduction, Mitchi.” A deep voice sounded from behind Alice. Alice turned and stood frozen as she stared at the great lion in front of her; the creature looking at her with amazingly intelligent eyes. “I have been waiting a very long time to talk with you, Alice; we have much to discuss.” The lion sighed. He started circling Alice, looking at the animals around him. “The forest is still protected and standing, with all the animals being well but this is because we are fighting that disgusting race, called Shadows or Reds; they’re two races who both desired evil. They wish to destroy our forests and the creatures living in it.” The lion let out an angry roar, before he calmed. “But that is not my biggest concern; we must discuss what is ahead of you, Alice.” “I’m ready.” Alice said confidently, wanting to fight for all these animals and the forests. “There are many creatures in these lands, even more than what you see here, and not all of them will want to help you. I have come face to face with traitors, and I will help you where I can, but there are some creatures that won’t be able to hear my call. I suggest you tell anyone you see among your journeys of your intention, and the devastating impact the shadows are causing on the rest of the world. I am sure a lot of creatures will join.” The lion said confidently. “Where are you heading after here?” The lion looked toward Dante. “Further in the forests, possibly through the jungles.” Dante replied. “Ah, good. You’ll find a lot of friendly creatures there, who will be interested in joining the fight.” The lion started walking away, as if he was done speaking to them. “Uh… Wait, please!” Dante took a step towards the lion. He paused and turned around, facing Dante. “Yes, Dante?” Dante looked to the ground uneasily. “D-Do you have any advice for me?” He asked curiously. “Hmm… Do I have any advice for you? Let me see…” The lion thought hard for a few seconds. “Well, I can’t tell you any more than this; through your journeys you will go through great hardships in this battle. Remember who you are, and what you are protecting. Because things are always more than what they seem.” The lion sighed. “I’m afraid I many people to talk to and things to do; so I cannot stay any longer.” He looked back to Alice, putting a paw gently on her shoulder. “Farewell, Alice and good luck to you; I’m sure you will make a good Princess.” The lion roared confidently and nodded to Dante before turning away and walking back out to the forest. “Interesting.” Dante muttered and looked to the animals all around them. “Was there anything else you wanted, Mitchi?” The fox shook his head, looking up to Dante and Alice; “Just to wish you a safe journey.” Mitchi bowed, causing the rest of the animals to bow around him. “Your majesty, if I may make a request?” Another fox came out from the crowd of animals; this one looked quite feminine and had purple fur instead of Mitchi’s average orange. “Of course, Xiie.” Mitchi looked towards the other fox. “I wish to go with them. They may need me to sneak around and gather information for them; I could be their spy.” Xiie smiled and looked up to Dante and Alice. “Would it be alright if she joined your journey?” “Of course.” Alice smiled, kneeling down next to Xiie and giving her a pat. Xiie smiled happily. “Take care of Wonderland, Alice. We wish you well.” Mitchi nodded as Dante and Alice walked out of view to head back to the others and continue their journey. “So we’re going to the Jungles, huh?” Bando sat on Alice’s shoulder, twiddling his tail around his small fingers. “I think so; Dante is kind of leading the way.” Alice shrugged as Bando was gripping her hair for support as they walked through the vines and leaves of the jungle, following Dante. “Yes, there is a special hidden place I wish to take you to, Alice.” Dante said, moving a branch away and letting out a yell of triumph as he saw the hidden, ruined city below them. “We’re here!” “What people make a city in the middle of a jungle?” Xiie wondered. “Probably people who don’t want to be found.” Dante smirked at Xiie. “You should know that.” “This is the place? It’s beautiful!” Alice gasped at the sight. “Beautiful? It is just a pile of ruins put together in the structure of a small city.” Bando said arrogantly. “Maybe to you, but there is nothing as stunning as this city where I come from.” Alice said in defence. “Come on, let’s go down.” Dante said, and started walking down the hill toward the ruin city. Alice watched in amazement as hundreds of creatures were walking through between huts in the town, some of them more complex than others. The group couldn’t help but feel as they were being stalked, turning to see that they were and that it was a couple of people that looked almost human, waving their arms in excitement when they saw Dante. There was a boy and a girl who stopped in front of Dante with a wide grin. Dante looked down at Emilio, grinning happily. “So where have you been all this time? I thought they had killed you. I’m really sorry I haven’t been around to take care of you.” Emilio smiled sweetly, making Dante frown suddenly at the sight of a large gashing red scar on her right cheek. Dante ran a finger along it softly in concern, which made Emilio look away as if in shame. “You should answer your brother, Emilio; I’m sure he is very concerned.” Light said softly. Emilio nodded and took out a little notebook she had been carrying in a pouch by her side, and a small lead pencil to write with. ‘I was captured and taken away…’ it read when she held it up to Dante. “Where did they take you?” Dante asked as his concerned expression started changing into anger. ‘To a dark cruel place where they were holding many other creatures, but I escaped and now I’m safe.’ “Why aren’t you talking?” Dante said, looking at Emilio in concern. He realized that he hasn’t heard a single noise from her. ‘They stole my voice’. Her writing started to get sloppy from her shaking hand as tears started to form in her eyes. “They stole your voice… How?” Dante whispered in horror as he watched Emilio look away uneasily as she pulled down her collar, revealing a deep scar across her throat. Everyone stood silent for a minute as their eyes moved back to Dante’s expression to Emilio’s. Dante clenched his fists in anger; his deep blue eyes blazed when he looked up, turning around and exiting the room. Dante ran up and pushed away the guards to the prison block, smashing his fist into the wooden door in front of him. He rushed quickly over to the Shadow lying on the ground inside from the door collapsing on him, grabbing him by the shirt and hoisting him to his feet. “What did you do to my sister? !” He yelled, as his grip got tighter and tighter on the Shadow’s collar. “I-I didn’t do anything! You mean Emilio? All I did was lead her here!” The Shadow said in shock, its red eyes open wide with fear. “Bloody liar! You were searching for this sacred city, and you were using Emilio as bait; tell me why! What happened to her?” Dante shook the Shadow as he yelled. “Believe me, sir! She was attacked by one of the Shadow guards because they said she was too much of a hassle; when I escaped I brought her here with me, we were just both prisoners helping each other out. I really didn’t do anything!” “Escaped?” Dante laughed loud in disbelief. “Now tell me this; why would they want to lock away a Shadow prisoner in a Shadow prison?” Dante snapped. “Dante; don’t hurt him!” Alice yelled as she ran into the room. “Believe him! He really didn’t do anything; Emilio wrote that he saved her!” Dante faltered for a minute, looking up at the scared Shadow with hard eyes. “Why should I believe a Shadow? He may have tricked her.” “He didn’t trick her because he was being held prisoner WITH her; you have to believe us. He didn’t and doesn’t mean any harm.” Alice said, touching Dante’s arm softly to try and calm him down. Dante released the Shadow’s shirt slowly, still looking into his red eyes as he backed away. It fell to the ground, gasping for breath as the fear finally subsided. “Phew. That was too close.” Andre sighed as he rubbed Alice’s shoulder in relief. “Good thing I can read minds and you can run fast; we make a good team.” Andre smirked at Alice. “I need to talk with Emilio.” Dante muttered, before leaving the building. “Andre, why don’t you go help them out? You can translate faster than Emilio can write.” Alice said to Andre, looking up at him smiling. “Good idea, Alice.” Andre cheered and ran to catch up with him. “Now, what about you.” Alice turned around to look down at the Shadow, who was rubbing his neck where the shirt had choked him. He looked up at her with dull eyes, which immediately widened in surprise. “Wait; you’re human!” He said in shock. “Correct. Are you alright? I’ve never seen Dante that angry and powerful before.” “Yeah; I figured something like that would happen eventually.” He sighed. “Well you were right about that, but are you okay? He had you up in the air for quite a while.” “Huh? Oh, yeah. I’m fine; I just still have these nasty chains on my feet from the prison.” He tugged at the chains, but sighed when they didn’t budge. “Don’t think differently of Dante now, he’s a nice guy, as long as you don’t make him angry.” Alice smiled and looked at the chains before turning around to grab a pocket knife from her pouch. “H-Hey! Be careful with that, it’s sharp!” “Well duh, that’s why I need it.” Alice laughed before turning back around towards the Shadow, who was looking at the knife warily. “I’m not going to hurt you or anything; I need to get those chains off you.” Alice knelt next to him, cutting through the chains as he watched. “Why are you helping me? I’m a disgrace; I’m a Shadow.” He whispered. “A disgrace? A ‘Shadow’? If you helped save Dante’s sister I’m pretty sure you can’t be that evil, right?” Alice looked up at him for a minute, noticing his deeply confused eyes before continuing to cut the chains. “There we go.” Alice held up the chains in front of the Shadow, grinning happily at herself for getting them off. “Thank you, thank you! That feels much better.” “Don’t worry about it.” Alice smiled and stood. “Well, I should probably go see how Dante is doing with his sister. I don’t want him to get too angry with her because she can’t explain herself properly; hopefully Andre is making that process go more smoothly.” The Shadow looked at Alice and grinned. “You’ll make a good Queen.” Alice froze and looked down at him, nodding uneasily before walking out of the building. Dante looked up as Alice walked into the tent, who noticed that he and Emilio were both looking much calmer. “Erm… Emilio has confirmed that the Shadow means no harm.” Dante sighed, looking at the ground guiltily. “I guess I just got out of hand, sorry.” Emilio laughed silently and nodded as Alice chuckled while she sat on the ground beside both of them. “That should be an understatement; you nearly strangled the poor guy.” “Anyway, we were just discussing where we should head next.” Alice shrugged. “I don’t know any of the places here.” “True. We don’t know all of it either.” Dante smiled at Alice’s surprised expression. “You don’t know all of Wonderland?” “Well, do you know all of the Otherworld?” Dante said as Emilio laughed silently again while he started laughing with her. “Well, we don’t have to go in a set direction just because of me.” Alice said, looking at the ground uneasily. “I wasn’t planning on doing that the whole way; things would just be easier that way.” Dante smiled warmly. “Don’t worry about it.” Emilio looked back and forth between Dante and Alice before smiling wryly. She noticed Andre was looking suddenly at them as well. “Do you think so?” He looked up at Emilio in disbelief, scoffing when she nodded holding back a grin. “Think what?” Dante looked to Emilio in confusion as she only snickered and shook her head. He watched her warily for a minute before looking back to Alice. “It’s getting pretty late, have you eaten yet?” He asked, looking to Emilio as well. “I don’t think I’ve eaten at all today.” Alice shrugged uncaring; she never had much of an appetite unless she remembered to. Dante stared at her for a minute before rolling his eyes with a sigh. “I’ll go get us something stay here.” He said, standing and exiting the tent as he muttered something to himself. Dante looked at Alice uneasily before walking into the tent, keeping the tent flap open for her with one of his wings. Alice walked in, looking around and biting her lip nervously when all she saw was how small the tent really was; there was only enough room for a feathered mattress on the ground with the blankets on top. Dante cleared his throat and settled down on the mattress, turning himself away from Alice and folding his wings against his back. “Well, good night I guess.” Dante muttered, closing his eyes. Alice watched his back for a minute in the night’s silence, sighing softly as she closed her eyes as well, drifting off to sleep. “So, you are the human brought into this world?” A dark, deep voice echoed throughout the black void Alice suddenly found herself in. “How cute. You even look similar to over 150 years ago.” The voice said in amusement. “What is your name?” “S-Alice.” She stammered, unable to take her gaze away as if something was controlling her. “Alice. A unique name, if I do say so. Listen closely, Alice; I will give you one chance to go home but after that I will have to come after you.” “What would you come after me for?” Alice asked, gasping as she saw a set of eyes suddenly flashed red, pushing Alice backwards making her fall to the ground. “Because, I want to rule these lands and YOU are the only one stopping me from doing so.” Alice suddenly saw a smile form under the eyes; a face contorting in the shadows revealed a figure with spikes and barbs, and huge teeth growing sharper and thicker until a large black dragon stood in front of Alice. “You will have only one chance to leave before I kill you and everyone you’ve ever known. Do not make this anymore unpleasant than it has to be.” He growled. Visions started to flash through Alice’s mind; Bando and Match Hare lying still in an empty dark room, Sajen and Xiie strapped to metal beds, yelling as a Shadow touched a finger to their foreheads, releasing a black poison through the connection as they yelled in protest. Hatter kneeling against a wall of a prison cell; his wrists shackled to the walls. Dante lying against a corner, his once beautiful wings were now only stubs of bone and flesh. “No!” Alice yelled as tears starting falling down her cheeks at the horrible images. “I- I don’t want you to get hurt, Dante! He showed me what evil things he was going to do to you…” Alice started crying harder, tightening her grip on Dante’s shirt as she fell into his chest. “I don’t want that to happen; I want to go back home!” Dante stayed silent for a minute before sighing softly. “I’m sorry to tell you, but he’d win either way, Alice.” “What? You’ll all live if I go home.” Alice looked up at him, her eyes misty from tears. Dante shook his head as he looked down at Alice, clearing his throat slightly. “No; he’d leave this world and go to yours, but he cannot find where the door is, that is why he wants you to lead him to it. You can’t let him trick you like that, don’t ever go back to that door; if he found out the location he’d…” Dante paused for a bit. “…He’d do terrible things to the people you love and care about up there, and it’ll be worse against people who are so defenceless against magic.” “What am I going to do?” Alice whispered, loosening her grip on his shirt as she started to calm down. “We do the only thing we can do; we fight against him in every way we can, but first we have to find help throughout these jungles. We need people to help us somehow.” Dante loosened his grip on Alice, but kept his arms gently around her waist as they looked at each other, their eyes meeting. Dante looked away with a blush, taking his arms away from her waist. “We should get back to sleep; it’s the middle of the night.” Alice nodded, slowly letting go of his shirt. “If you need anything else, just go ahead and wake me up.” Dante said, before lying back down on the mattress. He waited for Alice to drift back to sleep before settling one of his wings over her protectively. Andre stood in the doorway of the tent Dante and Alice were sleeping in; a large grin covered his face as he looked down at the two. Dante had his wing held over her protectively as he held Alice by the waist in his sleep, his face resting among her long brown hair. “Wake up, love birds; we have a long day ahead.” Andre walked into the room, kicking Dante lightly on the back. Dante yelled in surprise when he saw himself holding Alice, scrambling backwards and sighing in relief when he noticed that she was still asleep. “She’s quite a dangerous woman to fall in love with, Dante.” Andre said, suddenly serious. “She’s the Queen of Wonderland.” “What are you talking about? I’m not in love with her.” Dante growled. “She had a horrid dream last night and I was just trying to calm her down.” “Yeah, right.” Andre rolled his eyes in exasperation. “Anyway, we’re planning a celebration party to welcome Alice, the Queen, to our one and only city. “I don’t see why she wouldn’t accept the idea; it’s a perfect excuse to have a party.” Dante rubbed his face with his hand as he sighed drowsily. “Is Emilio awake yet?” “Yes, she’s up with the others outside. Make sure you two get up soon, yeah?” Andre gave a quick wave with his hand as he left the tent. Dante looked beside him at Alice as she rolled over in her sleep on her back with her arms and legs spread out. He couldn’t help but chuckle at the position, wondering how she could sleep like that. “Alice, wake up.” Alice only frowned and turned, facing away from him. “I don’t want to go to school today...” Alice muttered in her sleep. Dante looked at her puzzled for a minute before grinning, leaning closer to her. “You’re late for school already, and you’ll get a detention and if that happens, you’ll be grounded from the computer.” Dante dodged her as she suddenly sat up with a yell. Alice gasped for air as she looked around her, but only saw Dante laughing. “That was cruel.” “Yeah, but at least it got you awake.” Dante stood, holding out a hand to help her up. “Come on, we have a surprise for you; looks like we’re having a party.” “A party; like with music and dancing?” Alice said in excitement as she was pulled to her feet when she took Dante’s hand. “Yeah, though our music and dancing is a little different to yours… Hatter and I have to go to the city to get a few things, you can hang out with Emilio if you want; I’m sure she’d love that.” Dante walked with Alice outside the tent. He watched as she stood looking up as the birds flew overhead towards the inner jungle as the surroundings made unusual noises along with different bird chirps. Alice looked up when a beautiful, colourful bird flew in front of her, its feathers shining in the early morning sunlight. She looked at it curiously as it landed on a branch near the entrance of the deep jungles, chirping happily. Alice looked around to see if Dante was back yet, but she didn’t see him anywhere in sight. She slowly walked up to the bird, hoping to get a better look at it before it flew away again. Alice frowned as it spotted her, taking off and flying further into the jungle. Alice watched as it flew away, quickly disappearing among the trees of the jungle. She chased after it, smiling and giggling, feeling like a child again until she couldn’t see the bird anymore. She looked around, her heart sinking as she saw trees and vines all around her, she was lost. Alice chose a direction that she thought was right, and started walking slowly as she heard a growl from behind her. Alice’s pace quickened as she looked behind her shoulder as she heard footsteps, but tripped on a root sticking up from the ground and fell face-first into the dirt of the jungle ground. Alice turned herself around to see a large tiger creature looking down at her with angry yellow eyes. She let out a yell of fear as she tried scrambling to her feet, but she noticed that her foot was caught in-between the root. Alice frantically tried to free herself as the creature stood tall, its mouth opening wide, revealing large teeth as saliva dripped from its mouth. A sudden large blur suddenly appeared in front of Alice, as she watched the creature get punched to the ground. “What the hell are you doing out here all alone?” Andre growled over his shoulder at her. He inhaled a deep breath, turning back towards the creature, letting out a loud lion-like roar that made the beast skitter away in fear. Andre waited until the creature was out of sight before kneeling down to cut through the root trapping Alice’s foot. “What are you doing out all alone?! Where’s Dante? Isn’t he your protector/guardian thing, or whatever?” Andre rolled his eyes, like he didn’t care about the correct term much. “He’s out with Hatter in the city.” Alice said uneasily, realizing that she probably looked awkward lying on the jungle’s floor. “Ok, but why were you out here all alone in the jungle?” Andre took her forearm and lifted her to her feet. “Is your ankle sore?” “It should be fine.” Alice put her weight on the ankle and yelled as pain shot up her leg like electricity. “Just hold on for a second.” Andre sighed, lifting Alice up in his arms as he started to walk in the opposite direction she’d been walking. “You didn’t answer my question.” “I-I don’t want to answer; you’ll just get mad at me.” Alice looked to the ground uneasily. “No I won’t, I promise.” “I was chasing a bird.” Alice whispered, flinching as she prepared for Andre to yell at her. Instead, he just shook his head in disbelief. “Geez, what is with you and birds? Look, just don’t do it again. It isn’t hard to get lost in this world, especially the jungles.” “I noticed.” Alice muttered. “Let’s go get your ankle looked at.” “Alright.” Alice sighed; she hated to have a sprained ankle when there was a party being held for her. “W-What happened?” Joylae looked at Alice’s ankle in shock as it was starting to swell. “She accidentally tripped over a root in the jungle.” Andre answered for Alice, placing her down gently on a mattress. “Ouch. Don’t worry about a thing; I’ll fix it as soon as possible. It should be fine for dancing at the party.” Joylae smiled, holding her hands out around Alice’s ankle, a soft blue glow forming between them. “A party?” Andre lifted an eyebrow curiously. “They’ve created a party for me. It’s going to be so fun; how does music, dancing, and food sound to you?” Alice smiled to Joylae who looked up in excitement. “It sounds perfect; I love parties.” Andre said smiling at Alice. “Me too!” Joylae said, grinning. “But there is a strict rule; you have to have a date.” Andre glanced down at Alice with a smirk. “Will you be my date?” Andre asked, making Alice look up at him in surprise. “W-Well, I’m not sure… I don’t even know what I’m going to wear.” Alice said uneasily, looking at the ground. “I don’t care about what you’re wearing; I just want you to go with me.” “Can I think about it first?” She asked nervously as Andre sighed in disappointment. “I guess so.” He said, looking at her with a soft smile. “Just don’t run off by yourself again. Deal?” “Deal.” Alice blushed, looking away as she thought about her appearance at the party. Emilio poked her head around a corner. ‘You should go with my brother. He’d love to go with you.’ Emilio passed the paper to Alice. “Dante hasn’t asked me yet, though.” Alice shrugged. “So, he probably doesn’t want to go with me.” ‘He does.’ Emilio looked up at Alice after she finished writing. “I’ll think about it.” Alice walked out of the tent, noticing there were shadows in Dante’s tent. Alice quickly but silently ran over to see who it was but stopped as she heard people talking, wondering if she should interrupt them or not. “I can’t; she’s the Queen of Wonderland, its wrong.” Dante said, sounding frustrated. “Besides, after the battle she’ll just leave again. That’s how it always goes.” “So you’re just going to sit there and do nothing about it?” There was another familiar voice inside the tent. “I didn’t realize you turned into such a coward.” “Hold your tongue; I’m no coward.” Dante growled out. “I’m Alice’s protector; I’m nothing more and I’m nothing less.” Alice’s eyes widened as she felt a slash of sharp pain in her chest as those words entered her ears. “I-I thought Dante liked me, but he was only being friendly because it’s his purpose to do so?” Alice ran off loudly as tears stung her eyes, hearing someone swear from inside the tent. “I was starting to really care about Dante; how could he not feel anything about me in return?! Was last night nothing to him? Was it just another part of his purpose in this world and nothing more? !” Alice ran away towards a different distance, trying to get away while not getting lost in the jungle again. Alice bumped into someone and looked up to see Hatter looking down at her in concern. “Alice? What’s wrong?” He asked, holding her by the shoulders. “Nothing.” She whispered, looking away from him. “Right and you’re just crying for the sake of it.” Hatter looked around, to see if anyone was listening. “Tell me what happened.” “No, I don’t want to tell you; you’ll think I’m stupid.” “Oh, come on.” Hatter rolled his eyes. “Nobody will ever think you’re stupid; especially not me. Just tell me your problems and I’ll try my best to make the situation better.” He smiled reassuringly, trying to cheer Alice up. “Dante doesn’t like me.” Alice whispered, looking away from Hatter as his eyes widened in realization. “But you love him?” He said quietly as he looked around again, so no one around them would hear. “I-I’m not sure… I think I do.” Alice trailed off, trying to think. “I overheard him and someone else talking. Dante said that he was just a protector to me and that he was nothing more and nothing less and that every single thing he’s said and done was just to protect me; Dante was never actually just being nice to me.” Alice held back another sob as the sharp pain in her chest throbbed again, her stomach sinking. Hatter looked at Alice and sighed, looking particularly angry as he looked up in the direction of Dante’s and Alice’s tent. “I’m sure he didn’t mean it.” He looked back down at Alice, his eyes soft. “I see how he looks at you every day; he really does care for you more than a guardian. You need to understand Dante likes you as a person too; but it’s really hard to express your feelings, especially if you’re a guy…” “What are you talking about?” Alice looked up at him in confusion. “It’s just this thing where guys are supposed to be tough… It’s like we are raised so that if we do, it’s a bad thing. Then all of a sudden later in life we have to express all of our emotions out to a particular special girl so we can say what we’re thinking.” Alice nodded, starting to understand a little. Later that night, with the dress safely in Emilio’s tent, Alice stood outside her and Dante’s tent, pausing to take a few breaths as she walked in. She saw Dante sitting at a desk with his head in his palms while his black wings drooped around either side. She watched as he made no reaction to her, so she just simply shrugged as she walked over to their bed, lying down and turning away from him. Alice waited in the silence for what seemed like hours before shutting her eyes tightly in frustration, her teeth clenched. “Goodnight.” She waited for him to jump back in surprise and notice that she walked in without him realizes but he just looked over at her, sighing softly and standing, lying down on the mattress next to her, facing Alice’s back. Dante watched her thoughtfully, as he slowly drifted off to sleep. The following morning, Andre watched Alice walk out of the tent, heading towards Emilio’s tent, and then he leaned casually against a tree, waiting for Dante to appear after her. As soon as he did appear out of the tent, Andre grabbed him by the wrist. “We need to talk, now.” Andre said, looking up quickly to see if Alice was watching before pushing Dante back into the tent. “What’s wrong?” Dante asked, feeling annoyed about being pushed around. “It’s about Alice and tonight... I’m taking her to the party.” Andre said bluntly, making Dante blink in surprise. “What? You’re taking her?” He asked in confusion. “Yes, I’m taking her; you obviously aren’t doing a very good job at protecting her.” Andre pushed to see his reaction. “Alice’s depressed and because of you, she’s going off into the jungle all by herself and she almost was eaten by a wild beast! I think someone right for the job should take care of her.” “What and you think you’re that person?” Dante said in disbelief. “Well, I know I’d do a better job than what you are. You’re not her protector anymore; I am. So, what I suggest is that you can stay here with your sister, Emilio, if you really want to, but otherwise, leave.” Dante stayed silent for a minute, wondering what would be best. “Have you asked Alice already?” Dante asked, suddenly standing taller with hope. “Of course I have asked her; I asked her yesterday, but she didn’t give me an exact answer.” Andre looked to the ground uneasily. “I thought it might have had something to do with you.” Dante faltered for a minute, looking to the ground uneasily as well. “No, it wouldn’t be.” “Well, good.” Andre smiled in relief. “I guess you won’t mind me taking Alice to the party tonight then.” It sounded more like a statement than a question. Dante stayed dead silent, his mouth clenched as he resisted protesting. Andre nodded in satisfaction with a dirty smirk on his face as he turned around, walking over to get his outfit ready for the party tonight. “Hey, hey; why the long face?” Dante behind him and he spotted Sajen smiling. “I-I just really messed things up and I’m not really sure how.” Dante muttered as the wolf frowned. “Is this about Andre and Alice?” Sajen said, sighing when Dante raised his head in confusion. “You know about it?” “Do I?! It’s all he’s been talking about ever since we got here.” He grumbled. “I swear, he never shuts up.” “Wait, he’s been talking about Alice? What has he said about her?” Dante asked, looking extremely curious. “Well, most of the time he’s just been talking about how adorable and helpless she is. He always says that she can’t handle things on her own, and that she is too fragile so she needs someone to constantly watch her.” “Alice’s not helpless.” Dante said in disgust. “She can take care of herself; she’s just not use to this world. Has he seen their world? No, he hasn’t; everywhere is filled with houses and there are no trees except for those which they’ve planted on purpose and the most dangerous thing she’s encountered would be a dog.” Dante paused, looking over at Sajen as he stared at him. “Really? There aren’t any trees or animals?” He gasped. “Nope, there are only houses and roads. They use roads for traveling on with cars; machines that make them travel faster than I could fly.” Sajen stared at his feet in shock. “Wow, no wonder she isn’t use to this and Andre doesn’t know anything about that, does he?” “No, he doesn’t.” Dante sighed. “Every time I talk to her, I feel like I’m lying to her face.” “Well…“ Sajen said suddenly with a smile. “Why don’t you tell her how you feel about her after the party tonight?” “I-I could, but I still don’t like her going with Andre; I have no idea what he’s going to try to do with her while I’m not there to protect her and stop him.” “I don’t think he’s that bad.” Sajen chuckled. “If you’re really, really worried about it, I don’t mind you going with me to keep an eye on her… I kind of want to be there dancing and having fun with the others too.” Sajen chuckled. Dante looked up at him in surprise. “Really?” “Sure, why not?” Sajen shrugged. “Oh, as friends of course… Otherwise, it’d be weird.” Dante smirked wryly. “Don’t worry about it; you look fine!” Alice laughed as Emilio fussed with her dress nervously as they waited for the guys to come. “We’re here, finally!” Hatter proclaimed as he and Andre walked in, as Andre was still fiddling with his tie, feeling that it was out-of-place somehow. He looked up at Alice and stared with wide eyes at the beautiful, sparkling dress on her. He cleared his throat as he looked to the ground while Hatter laughed. “They’re beautiful, right?” Hatter grinned and held out his hand for Emilio, who smiled and placed her hand against his as he escorted her out of the tent, and toward the music in the distance. Andre watched Hatter and then did the same for Alice, tensing slightly at her soft touch when she rested her hand against his as well. “Relax, don’t look so nervous about it; I’m not going to hurt you.” Alice chuckled as Andre looked down at her, his eyes turning soft. “Sorry; I’m just not used to pretty girls like you, Alice.” He muttered, looking away as he blushed. Hatter opened and pinned back the flap to the main party tent as Alice looked around in wonder. She saw beautiful flowers decorating the interior walls as people celebrated and danced in the middle of the quite massive tent. The band sounded almost Celtic with a range of wind instruments. Andre decided to look around as well. Alice spotted Sajen dancing happily in the crowd but when he spotted her he pointed over to a corner, continuing to dance with the others. Alice looked around curiously in that direction, her heart sinking and her stomach dropping when she saw Dante sitting alone at a table, drinking a glass of water. “Hm. What’s wrong, Alice?” Andre noticed Alice’s pained expression and looked in the same direction as she was staring in, growling slightly when he saw Dante. “Come on, Alice; don’t worry about him. He’s here with someone else, so we should just have fun, right?” Andre said uneasily, trying to cheer her up and get her attention back to him. “I-I guess you’re right.” Alice smiled up to him, making him grinning back in relief. “How about we join in and dance?” She said, pulling him onto the dance floor as Emilio frowned as her, Hatter and Sajen spied on them. “I-I can’t dance.“ Andre protested as he was pulled, looking around uneasily at those watching and dancing around them. “Oh, be quiet; here...” Alice took Andre’s hands and set one on her shoulder, and the other on her waist, making him blush from all the contact. “Now we just dance.” Alice smiled reassuringly as she started twirling with all the other dancers around them. “Ah, my ankle.” Alice sighed as she sat down in one chairs at the edge of the tent. “I didn’t realize dancing would be so tiring… Is your ankle alright?” “No, I’m sorry. It’s the one I twisted in the jungle…” “Ouch; stay there, I’ll get you something to drink.” Andre smiled, getting up and making his way through the dancing crowd toward the tables at the other end of the tent. Alice sighed and leaned back in the chair, letting her head rest back while she watched the others dance. After a while, she sighed and looked around, wondering where Andre had gotten to. “I wonder if he was stopped by someone.” Alice painfully stood up and looked around. Her heart nearly burst out of her chest as she saw Andre and Dante talking at the other end of the tent. She noticed that the people around them were backing away quickly from all the tension rising between them. Alice grumbled in huge frustration, walking over to Andre and Dante with blazing brown eyes. “Why are you even here? Are you stalking her or something?” Andre yelled at Dante, his eyes angry as he clenched his teeth in anger. “I’m protecting her from you, moron; I saw your filthy hands all over her while you two were dancing. You only asked her because you thought she’s cute; but unlike me, you don’t know who she really is, at all.” “What and you do? You only met her a week or two ago.” Andre growled. “Stop it, both of you! What is wrong with you?” Alice shouted, her hands tightly on her hips as she furiously glared at both of them. Dante paused and stared at her for a minute, shaking his head as he realized the current situation. “We were just talking… Everything’s alright.” Dante said, his voice suddenly gentle. “Everything’s alright… Everything’s alright?! No, it’s NOT alright! You two are fighting again, and in the middle of a party and about what?! Who’s protecting me again?” Both of them looked at each other guiltily, making Alice throw up her arms with a loud shout of frustration. “Hey, how about this? Neither of you protect me. I’ll just protect myself and neither of you have to ever fight about it again. Now, both of you just leave me alone!” Alice yelled and turned around, storming out of the tent as everyone fell silent and watched. Hatter shook his head in disappointment, letting Emilio follow Alice out, running to catch up to Alice as she ran. “Congratulations; you two really messed this up.” Hatter glared at Andre and Dante, who were both staring at Alice as she left in shock and dismay. Dante stood outside of his and Alice’s tent, hoping that she still wasn’t too angry with him; Dante had never seen Alice yell like that before. He slowly opened the tent flap, noticing that the inside was pitch dark, so Alice had obviously stopped the candle. He thought he’d be real quiet in case he scared her by barging in but as he took a step inside he looked down at their mattress and noticed that she went to sleep but she was still in her dress. Dante was looking down at Alice for a minute before placing his head in his hands with frustration again. “They were right, I’ve messed up. I- I was just worried that it would all go wrong and you wouldn’t want to see or talk to me ever again so that’s why I’ve been kind of avoiding you lately, I guess.” Dante looked at the ground slowly and sighed. “I just didn’t tell you how I really felt because I thought you would have been weirded out because I don’t think you feel the same way about me... I-I mean, well, you’re the Queen of Wonderland, wouldn’t it be weird if we... well, we dated?” He paused to see a reaction, but just blinked in confusion when she remained still. “Alice?” He walked over to her, kneeling on the mattress and setting a hand on her shoulder; feeling concerned when he felt her cold, clammy skin. Dante gasped and pulled her over so that when he did he saw that her normally beautiful brown eyes were an opaque white as she stared straight without emotion. “Alice?! Come on, wake up!” Dante looked down at her with horror. “What’s happened to you?” He whispered, trying to think back to what had happened at the party, but he couldn’t think of anything that could have done something like this to her. He picked Alice up gently into his arms and stood up, running out of the tent and looking around, but seeing nobody around as everyone was probably still at the party. Dante had no choice but to run through the main party tent flap, looking around at everyone with wild eyes as people stared at him with Alice in his arms. “Joylae!” Dante yelled running over, noticing that Alice was starting to get paler in his arms. Joylae burst through the gathering crowd, looking at Alice and then gasping in horror when she saw her. Dante noticed Joylae’s expression and looked at her in confusion. Hatter ran over and started to pull two chairs together to form a support bed. “Thank you Hatter; Dante, please lay her on the... chairs.” Joylae motioned quickly for Dante to place her down, and started yelling out orders for tools and items to be fetched out from the worried crowd around her. Creatures of the crowd ran to find the list as Dante set Alice gently down on the chaired bed, looking down at her pale face in concern. “What’s wrong with her?” Dante whispered quietly as Joylae ran a finger her face, hissing in pain when it burned her hand. “Ouch! I don’t know, Dante; I’ve never seen anything like this before in my whole life.” Joylae muttered as she took in a deep breath before slowly holding her healing hands above Alice’s chest, her hands glowed a blue aura. Joylae held her hands firm and still as her healing magic poured into Alice’s body, but she bit her lip as she noticed something started flooding back into her own hands. The crowd watched in horror as Joylae’s hands started turning a poisonous black. As Joylae tried to pull her hands away, she felt as if she was forced and stuck into the position. Hatter noticed and quickly grabbed her hands, moving her away from Alice as she was looking down at her in shock. “She’s possessed...” Hatter whispered in horror. “It’s Omegas.” He looked toward Joylae as she stared in horror at her hands. “There’s absolutely nothing we can do for her now.” Hatter turned back toward Alice. “Something must have happened while she ran off by herself... Dante, has anything strange been happening to her lately?” Hatter looked to Dante, who was watching Alice thoughtfully. “The only thing I can really think of is a nightmare that she had the other night with Omegas in it... I thought it could have been a sending, but...” Dante’s eyes widened in realization. “...But there has to be something that is linked to Alice that Omegas is using to be able to get into Alice’s head.” “There is only one person in this whole universe that can save Alice now, but I have no idea where he is.” “W-Who is it?” Joylae asked anxiously. “Oranos.” Dante looked over at Xiie, who was watching the whole thing with wide eyes. “I-I know where he is...” She said nervously. “He’s north, further through the deep jungle.” Xiie said quietly. “Right; let’s go then.” Dante said with determination, looking up to see Andre watching Alice, his eyes wide. “I’m coming with you.” Andre said in a serious, low voice, his eyes weren’t leaving hers. “Whatever; just do what you want.” Dante muttered, picking Alice up gently again in his arms so that her head rested against his shoulder. “I’ll come too.” Joylae said determined. “If one of you gets hurt or Alice gets worse, you guys may need my help, even if it kills me.” “I’ll come as well. I’ll fight till the death for Alice to live through this.” Hatter nodded. “Dante, I think we’re all coming with you.” Xiie looked around at the others who had stepped out through the crowd, who all nodded as well. “We would not leave our Queen alone to die and do nothing about it.” Bando said as March Hare nodded in agreement beside him. Dante looked around at the crowd and smiled gratefully. “Let’s get going then; she’s starting to get colder.” Dante said, walking out of the main tent. “Alright, I’ll head the way by flying ahead with Alice, and you guys follow on land; I won’t go ahead too far or too fast.” Dante said, stretching his wings. “Hey, wait! Why do you get to carry Alice?” Andre questioned as he watched Dante’s confused face. “I-I think I should carry her because I can get out of a situation quickly by flying and/or running.” Dante felt confident that that was a good reply. “Yeah, whatever.” Dante smirked and took a running start, flying over the jungle below, holding Alice tight against him. “I think I found him!” Dante called out over his shoulder, pointing to a large, beautifully stunning tree house with all the jungle around it. “That may just be it.” Andre shouted back, as he sprinted to get ahead of Dante flying in the air, proving his strengths. “I’ll stay back with Alice first, we need you, Andre, to make sure it’s really Oranos.” Andre looked to Dante angrily, but nodded for Alice’s sake. “Huh? Who is bugging me at this time of night?” A drowsy male voice echoed throughout the tree house. “A whole crowd; what the heck?” Oranos looked through a carved window, down at the crowd below. “What do you want?” He asked. “It’s your Shadow, Verond.” Andre called over his shoulder as Dante walked forward. Oranos suddenly reared himself out the window to stare at Alice in his arms. “What happened to our Queen? !” Oranos stormed down until he was in front of Dante. “We actually don’t know.” Dante said, alarmed that Oranos was suddenly so angry. He suddenly calmed down after looking down at Alice in concern. “Ah, I see... He wants to play tricks, we’ll throw tricks back.” Dante looked at him confused. “Tricks...?” “He’s possessed her, it’s a trick, or more-or-less a trap. Please just lay her down, anywhere would be fine.” The Beautiful Fair said, sounding almost relieved. Dante placed her down on the ground in front of him, looking up at him cautiously. “Back away now, everyone; you don’t want to get toasted.” He chuckled before waving his hands forcefully above Alice, creating a multi-coloured flame which soon enveloped her body. Dante and Andre let out a yell of horror and they both ran forward with confused looks on their faces, but they stopped when Oranos gave them both a warning look. He then threw his arms down, making the fire disappear with the wind. Alice was at a completely normal temperature and she even looked better than she ever had before. Hatter, Andre and Dante sighed in relief as she woke, looking up and letting out a puzzled look at Oranos staring down at her. “It’s alright, he’s friendly.” Dante said, helping Alice up. “Omegas’ is his Shadow.” Alice paused for a minute as she looked around at the group behind her who were all smiling in relief. “Erm... Did I miss something?” She said in confusion. “You were possessed by Verond... Which means that unfortunately your soul is now in the hands of the Shadows and his army.” Oranos said sadly. “M-My soul is now in the hands of them? What does that mean?” Alice asked worried as she put her hands over her heart. “It means they can possess you again whenever they’d like, and if they’re smart enough, use your soul and their dark magic to in fact create your own Shadow.” “What? !” Dante, Alice, Andre, Hatter and a few people in the crowd yelled. “Don’t panic; I’ll fix the whole possessing whenever they like thing though. I won’t let our Queen be tortured by that overgrown snake.” Oranos let out a low growl. “Why am I even here? Why is it me that is the Queen; why can’t it be some other girl?” Alice looked up at Oranos in confusion. He looked down at her and paused for a minute. “Tell me, Alice; what is your family like?” He asked softly. “Well, I haven’t seen them in ages, but the last I saw them they were good, I guess?” Alice said warily. “No, silly; your real parents.” “My real parents.“ Alice blinked in confusion. “But how do you know that I’m adopted…?” “I know a lot, if not all and for that I am grateful. Your mother is Aurora.” “That’s a weird name… It’d be one of those names you’d find someone to have down here in Wonderland. …W-Wait.” Alice stammered. “Correct, Alice; your real mother is from this world, and so is your father.” The fairy’s eyes turned warm. “I-I have a real father?” Alice’s face was covered with a hopeful smile. “Yes, you do and you can call him Oranos.” Alice stared up at him in shock, staggering back a step. “So, I’m actually the daughter of two creatures from Wonderland? …How?” She whispered. “Well, that’s quite a story, isn’t it?” He smirked wryly. “Your mother and I were friends with the higher council of this world and after a long time of waiting and requesting we were allowed to live in the Otherworld for only 50 years.” Oranos sighed. “In that small amount of time, you were born, Alice. It was a tough decision, but we made the right choice. Your mother and I knew that if we ever brought you back with us, the shadows would always try to kill you.” He frowned. “I need you to understand that your mother and I didn’t give you away because we didn't love you; we gave you up because simply we loved you just too much.” His eyes started to get teary as he looked deep into his daughter’s. “You were in a high amount of danger when you were with us, every second of the day and if we had returned with you, you wouldn’t be here today. It was a hard decision but we knew you would be safer up there in the Otherworld until you were at least able to defend yourself and find your way back to us." “How great is this place? You’ve met your real father.” Dante smiled down at Alice. “Yeah…” She grinned happily. “I’m the daughter of a fairy; who knew?” She couldn’t help but laugh nervously. Screams of terror signalled his arrival as people scattered throughout the village as a terrifying roar ripped through the sky. His deep, evil eyes looked around wildly as he raked his sharp claws deep into the stone holding the buildings together, toppling over anything in his way during his search. Oranos ran through the village after hearing the terrified screams from the forest. He looked into an open building and his stomach dropped when he saw a precious figure below, lying on her side in a pool of blood. His vision was filled with rage as he picked up the fragile body in his arms. “You will die for this, Omegas.” Oranos growled as he looked around for any sign of Verond. She was wounded quite terribly on her right side with a deep rake through her pale body. Oranos ran with her as fast as he could to reach the one and only person that could fully heal her… …Alice woke with a gasp, sitting up and looking around, sighing with relief when she saw she was back in her own safe tent with Dante waking up from her gasp. “Alice, are you alright?” Dante inspected her body for a minute before meeting with her eyes again and waiting for an answer. “I-I’m fine; I just… I just had another one of those bad dreams.” Alice sighed as she tried to keep her heart from pounding in her chest. “Was it Verond?” Dante said quietly, moving closer to her when he noticed the fear in her brown eyes. “Kind of… It wasn’t just him this time.” Alice ran her hand through her messy hair uneasily. “It was also about my dad… He found my real mom.” “Oh...” Dante watched her awkwardly. “…And?” “…Well, she’s in a pretty bad shape. Dad’s looking after her though...” “Oh, well that’s good, I guess.” Dante said, not sure what else to say. “Are you feeling alright? I was planning on traveling a bit more again today.” “I should be fine.” Alice smiled, looking at the outside of the tent thoughtfully. “We should leave as early as possible; I’d rather not be traveling when it’s dark.” “Yeah, you’re right.” Dante nodded and stretched his body with a wide yawn. Alice giggled and looked away, walking out of the tent to wake the others. Joylae walked beside Alice at the back of the group, watching as Dante was leading the way out of the confusing jungle and toward the forests again. “I’m sorry your mom died, Joylae. I know that it’s pretty tough when someone close to you dies.” Alice said softly. “Well, yeah it was. The thing that kept me going was that I knew she wouldn’t have wanted me to be sad forever.” Joylae looked up and around at the trees around her and breathed in the fresh air. “Hey, Alice; check that out.” Joylae pointed to a single vibrant flower peeking out from underneath a large mushroom. “Wow, look at those colours on it! I’ve never ever seen a flower like this before.” Alice said in excitement as she watched the strange flower glisten different colours from the sun’s rays. “Strange enough neither have I. …I wonder if it smells as nice as it looks.” Joylae said curiously, looking at Alice. “Well, we have time to stop for a little bit, we can catch up to the others quickly after.” Alice took a few steps forward, wanting to get closer to it. They waited till the group were a bit further ahead of them before they giggled and ran over to the flower, trying to be quiet and not seen. “It’s even more beautiful up closer! What kind of flower do you think it is?” “I’m not sure, I think it might be a strange rose… or something like that.” Alice and Joylae looked at it curiously as they both leaned in to try and smell the flower’s scent, but they moved back quickly and coughed when the flower suddenly widened its petals more, spraying a fine yellow mist at both of them. “Ah! …What was that?” Alice looked over to Joylae nervously. “I-I don’t know; we should probably go and catch up with the others...” Joylae said uneasily, glancing at the flower and grabbing Alice’s wrist, running back over to the others to be at the back of the group again. “Erm… Hey, is Alice alright?” Andre muttered to Dante as he looked over his shoulder noticing Alice was stumbling slightly as she walked behind them. “What? I don’t know; what’s wrong with her?” Dante looked behind him as well watching her strange behaviour. Dante was looking down at Alice as she wobbled on her feet. “Ooh… You have pretty wings!” She smiled happily. Dante stared in surprise and looked over to Joylae, who was also acting the same way. “Um… is something wrong, Alice?” He asked, looking down at her in surprise as she suddenly leaned against him. “What? Nooo, nothing’s wrong. I-I just feel like really sleepy.” “Alice, did you eat something strange?” Dante gripped her by the shoulders as she continuously laughed and rubbed her face against his chest. “Pfft, no you silly birdy. I wouldn’t eat a flower.” She laughed, poking at his chest. “Stop it, quit being so silly.” Andre laughed at Dante as he was getting annoyed at Alice’s behaviour. “Geez Dante, relax. Why don’t you take the situation to your advantage? Ask them a few questions that have been on your mind, they won’t remember.” Andre grinned as he watched Dante stare him down. “What is wrong with them, Dante?” Hatter asked as he tried to dodge Alice and Joylae pouncing on his back, laughing childishly. “I guess I know the only one thing can make them act this way…” Dante looked down at Alice, his blue eyes wide. “Alice, did you two mess with a flower earlier today; a really colourful one?” Dante looked at Alice as she her face was covered by a silly smirk. “Maaaaybe.” Alice giggled as Dante groaned in frustration, putting his hand up to his face. “They’ve been messing with a ‘Madness flower’... It’s a plant that sprays anyone who gets a little bit too close to it with pollen that makes them… well, kind of go insane.” “Insane? That’s mad.” Hatter looked worried for Alice. “It’s COMPLETELY MAD!” March Hare jumped around, laughing and stretching his ears long. “How long are they going to be like this?” Hatter said in horror, gasping with shock as Alice jumped onto his back. “Hopefully only a couple hours, at least.” Dante looked annoyed. “They won’t be able to walk; otherwise they’ll just trip over or wonder off on their own, so we’ll have to carry them.” Dante sighed and picked Alice up, who laughed in excitement as she was lifted. “Hold on, alright Alice?” Dante said to her, holding under her legs for support. “Hmm… Okay.” She smiled up at him as she rested her head on his shoulder. Dante waited until Hatter had picked up Joylae as well before they started to walk back towards the others to explain the mad situation. Dante walked beside Hatter, holding Alice against his wings. He tried to look at her as she sighed, but he wasn’t able to see her around his wings. “Are you alright, Alice?” He asked as she just stayed silent. He could feel her bury her face against his feathers on one of his wings. “Dante… do you hate me?” Alice asked softly, her voice slightly nervous. “Do I hate you? No; why would I hate you?” Dante looked back again in concern. “Well, I dunno, but lately you’ve been ignoring me, and… you didn’t ask me to my party. Emilio told me that you would ask, and well, I guess it kind of hurt my feelings when you didn’t.” Dante sighed in frustration, holding her legs firmly against his sides as he felt her start to slip a little. “I really didn’t mean to hurt your feelings; I didn’t ask you because I heard that Andre asked you first. Besides, I’m really not your type.” Dante said uneasily. “How do you know what my types are?” Alice looked up at him with a cheeky smile. “Maybe, I like guys with wings.” “T-That’s not the point.” Dante couldn’t help but blush a little until he glanced over to Andre, who also had wings. “Then, what is the point?” Alice brought her arms gently around his neck, resting her hands against the front of his chest gently. “You’re the Queen, and I’m your Guardian. It just wouldn’t be right.” Alice frowned and took her hands back from around his neck. “So, you only see me as Queen?” She whispered. “No, that’s not what I meant at all!” Dante said in a panic as she slumped against his wings again, sighing with disappointment. He let out a long groan of frustration, but paused when he felt a tear run down the feathers of his wing. “S-Alice, are you alright?” Dante looked back at Alice as he felt her hiccup against his back. “What the- Watch out!” A loud yell came from Andre at the front of the group as a sudden single flame started roaring up towards the sky. Dante stopped along with the group, backing away from the sudden single flame in confusion, and then just as sudden as it had appeared, the fire vanished in mid-air. “What the hell just happened?” Andre said in confusion, looking around the wild jungle, but seeing no one else but their group. “I actually don’t know.” Dante said, keeping quiet for a bit as the group started walking again, but much more cautiously. “Alice?” Dante felt her gripping his shirt with her fists, as if she were angry. “A-Are you crying?” He asked in horror. Dante hated seeing girls cry… especially Alice. “No.” She said as she sniffed. “I’m sorry, Alice; I really didn’t mean it in that way. You’re a really good person, I’m just… I’m just a regular guy compared to you and your title.” He said desperately. “So… If I were just a normal girl, things between us would be different? I guess I just have to live with it.” She whispered, more to herself than Dante. “So, have you ever had a girlfriend before?” Alice giggled against his shoulder, her cheek resting against his cheek. “Ah…“ Dante’s eyes widened quick in panic at the sudden closeness, but he tried to regain his sane composure. “A long time ago; though I wouldn’t really classify her as a ‘girlfriend’… She was more like a friend who happened to be a girl.” “Oh, I see… I had a boyfriend like that; well he kind of turned out to be a huge jerk. …I guess I haven’t had very good luck with guys in my lifetime; my best friend said that it was because I’m too trusting.” “Your friend is right.” Andre joined in with the conversation, a grin covering his face. “What was this boy like?” Dante asked, trying to distract Alice for as long as he could until the flower wore off. “Well, he was a nice boy at first, but he wanted to do some things that I really didn’t want to do.” Alice frowned. “He tried to kiss me, but… it wasn’t a nice kiss; it kind of hurt.” Dante resisted the strange urge to punch something in anger, but he quickly went back to being relaxed. “So, then what did you do? “Well, I kicked him where it hurts; really hard. I normally wouldn’t do that, but he deserved it.” Alice giggled against Dante’s neck, making him shiver at the feeling of Alice’s breath against his neck. “Yeah, it sounds like he did.” Dante said distractedly, shifting Alice on his back as she started to slip slightly again. She laughed against his wings, hiccupping again as she held her arms around his neck again. “Oooooh, your eyes are a pretty purple!” Joylae yelled as Dante stopped dead in his tracks when he spotted Hatter; who had stopped as well. Hatter’s eyes had changed to a bright deep purple, which were wide with shock. “W-What the…?” He whispered, blinking in surprise. Joylae’s loud girly yell had also stopped the rest of the group to look back at Hatter. “Okay… I’m really confused. What’s going on?” Bando whispered in surprise. “You’re confused? I GOT PURPLE EYES.” Hatter yelled, grinning and pulling funny faces with his new coloured eyes. Dante felt Alice hiccup against his back again, as he watched as Hatter’s eyes returned to their normal colour. “Whoa...” Dante looked over his shoulder at Alice, who was laughing about something against his wings. “I think maybe Alice did that.” “What? You think Alice did it?” Hatter gasped, staring at Alice as she looked up in confusion at her name being called. “What happened?” She said drowsily. “You turned Hatter’s eyes purple and created a flame in mid-air.” “What? Lies.” Alice laughed. “I don’t know how to use magic; you’re being silly again, Dante!” Alice poked between Dante’ wings, and paused when he yelled out in surprise. Alice poked the area again, making his back arch as his wings were flapping to regain balance with her on his back. “Stop it.” Dante growled in frustration as she looked up at him with a happy smile. “Why? Does it hurt?” She was poking him again, making Dante wobble around everywhere, taking a step backwards to keep his balance. “No; just please stop!” Dante yelled, holding onto her legs tight as she was slipping. She was poking a very sensitive area which makes his entire body jump in surprise. Andre watched with amusement as Alice kept poking Dante’ back, laughing when his wings were flapping wildly as he continuously yelled for her to stop poking him. Dante finally dropped Alice gently to the ground, hoping she would manage to stay on her feet, but he watched as she fell to the ground on the jungle floor, laughing hysterically as one of Alice’s knees scraped hard against a thorned vine. She noticed the blood and looked down at the wound in confusion. “Oh, great; come here.” Dante leaned next to her, ripping off one of his sleeves to wrap around her bleeding leg. “Stop poking my back, seriously; it really feels weird.” Dante groaned as he picked her up again. “You’re really nice, Dante.” She smiled against his soft feathers from his wings. Dante couldn’t help but blush, wondering how much longer Alice would be acting like this. He knew Andre was right, he shouldn’t feel as annoyed as strangely part of him liked it, but most of him was just getting tired and irritated from her constant teasing. “How is your knee feeling?” Dante said, keeping a strong eye on the forest ahead of them. “Huh; my knee?” She asked in confusion. “Yeah, you just hurt your knee on a thorned vine.” Dante explained with more irritation. “I can’t feel it.” Alice smiled, reaching up and running a hand through his hair. “Stop that.” Dante growled. “Why?” “Cause, I don’t like it.” Alice took her hand away and paused for a minute before looking at the ground uneasily. “Do you think I’m weird?” She asked. “Huh?” Dante looked over his shoulder at her. “No I don’t. Why?” “I dunno… Well, I don’t have wings or anything like that; I’m just a human.” “What’s your point? I’m a human with wings, really; that’s the only real difference.” “Well… That and your soul is also part Shadow.” Alice pointed out. “I-I try not to think about that.” Dante muttered. “Why? Have you ever at all wondered what your Shadow is really like?” “No.” Dante lied; his voice was firm as he looked away from her. She stayed silent from his mad tone, biting her lip nervously. “I’m sorry; did I make you angry?” “What? No, you didn’t; I just don’t like knowing that I have an evil version of me running around doing evil thins; it makes me a little paranoid.” “Paranoid, why? I bet you he’s probably far away right now!” “I thought I’d find you two together somewhere. How much further until we’re out of this crazy place?” Andre stepped out from the shadows as he looked over to Dante and Alice. “A-Andre?! How long have you been here for?” Dante looked puzzled. “A little while… So, are you going to answer my question?” Andre smirked as Dante looked embarrassed. “Probably yet another day of traveling again.” “Good.” Andre brushed his hand through his hair as he smirked at Alice. “So, you’ve never thought about your Shadow, Dante?” He watched as Dante got even more irritated. “No, I haven’t.” “Fair enough.” “I feel tired...” Alice sighed as she slumped against Dante’s back. He looked back in concern, but sighed with relief when he heard her soft snores. “Let’s get going.” Dante catched up and continued to walk with the others, trying not to think about the previous conversation; he has always been afraid of meeting his Shadow, even when he wonders if they’re stronger. Up to Chapter: SAJEN, THE WHITE WOLF. Hey, no way! xD I'm on the same chapter! So far I like it Skye! It sounds pretty neat and has a good story. Some things I'd change about it but I already talked to you about them (like interesting sentence and paragraph structure along with a few errors and characters losing their characters from the original stories and all that jazz haha). I'll read more when I find time! Good story and of COURSE I LOVE ALICE IN WONDERLAND so this story is like gold to me! Keep writing! Thanks guys for reading and commenting, it means a lot. I look forward to us working together to fix the errors, thanks and I will keep writing!